Which Obstacle Challenge to Participate? A guide to choose the right obstacle challenge for you. Unlike other forms of fitness events, obstacle challenge shouldn’t be taken lightly. As a fast growing sport, a lot of aspect need consideration when you decide to participate. If you’re not careful, serious injuries could happen that’ll lead to permanent damage on your body. 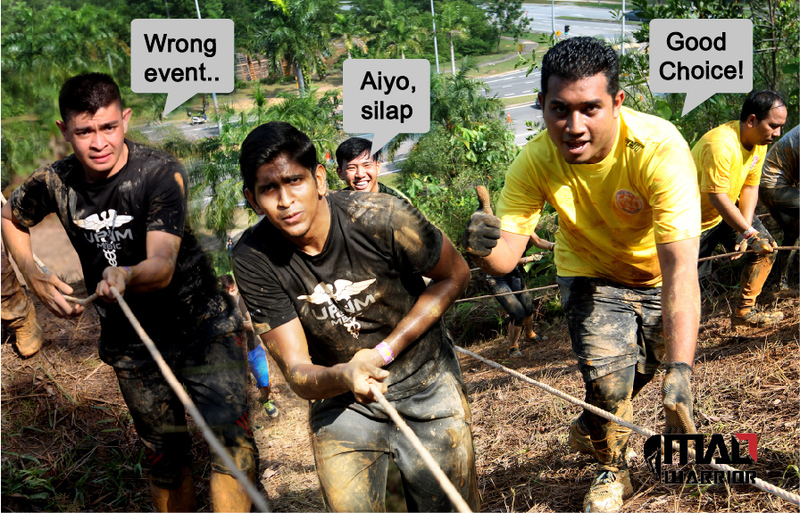 Rest assure though, cause we’re here to guide you before signing up to a obstacle challenge. The very first thing you should do after deciding to participate in obstacle race would be to know your own fitness level. Are you a beginner, intermediate, advanced runner? As a beginner, an attempt on a tough course will rendered you frustrated and could possibly lead you to injury. Easy course, however, can induce sleep for an advanced runner, so you might want to really understand yourself before actually registering. What are you looking forward to achieve when you’re participating in the obstacle challenge? Are you in it for a leisure weekend or do you want to challenge your physical abilities? Fact: The same exact obstacle can be both leisure and gruesome based on the category you sign up. General categories won’t be timed and less demanding while Elite is a timed run and very competitive, so decide your goal before deciding your category. Difficulty level varies in each event depending on distance covered and the number of obstacles laid out. Obstacle challenges’ distance are different from one another and often range from 5 KM to 20 KM. It goes without saying that the further the distance, the harder it gets to complete the race. The same goes with the number of obstacles you have in one run. More obstacles simply means more stamina you need to have to endure the whole thing. The basis of penalty is that you’re doomed to it every time you skip or failed an attempt at an obstacle. Even seasoned obstacle challengers feared the penalty that mostly consist of gazillion number of burpees, and let’s be honest – we all hated the burpees. However, you can rejoice to know that not all obstacle challenges give penalty. If you’re not a fan of rubbing salts to wounds, then opt for those challengers without the penalty. Another factor to consider when choosing an obstacle race is the level of muddiness you’re willing to get soaked into. A popular misconception is that all obstacle challenge requires you to plunge into mud. This is not true because believe it or not, some obstacle challenges are mud free while some other events will try their best to make sure you’re covered with mud from head to toe. Hopefully, this guide is helpful to make up your mind when choosing an obstacle challenge to participate. You can always find other Mad Warriors and throw them a bunch of questions for clarifications, Warriors are always happy to help. If all fails message us on facebook anytime at Mad Warrior.